Co-op at Brock gives students the opportunity to apply what they learn. Help build your resume by working at Brock during your student career. Experiential education allows you to engage in first-hand experiences. Providing you career-related tools and resources you need to excel. Gain a competitive edge. In today’s labour market, having graduated with experience and career knowledge will give you a critical advantage. At Brock, we pride ourselves on integrating experience into your studies by offering a rigorous co-op program and a variety of hands-on learning opportunities in your academic program. Work with our career team to successfully translate your experiences, both inside and outside the classroom, as you launch yourself into your career. You’ll combine traditional undergraduate programming with relevant paid work experience in alternating terms. Explore careers, build your network and learn how to best position your experiences and skills for career readiness and success. We’re here to help you put theory into practice through hands on, meaningful learning opportunities in your academic courses. All Faculties offer experiential courses. As a graduating student, Stephanie has had the pleasure of not only completing a fourth-year capstone internship but has also been highly involved outside the classroom both on campus and in the community. As part of her intensive internship with the This is my Niagara initiative, she has facilitated high-level and large-scale events and has coordinated all internal and external communications. This has required a high level of collaboration as well as coordinating a team of fellow peer interns. Outside the classroom Stephanie is highly engaged as a Brock Ambassador, English Mentor and is an active member of the Golden Key Honours Society. She currently serves as the President of the Communications, Popular Culture and Film Student Society, sits on the Board of the Brock Press student newspaper, and has completed Brock’s entire Campus-Wide Co-Curriculum, which puts her in the top 1% of engaged students on our campus. This speaks to her leadership skills, communication and problem-solving skills that have continuously developed over time, and Stephanie is also known to have a high level of self-awareness, motivation and open-minded ness as a result of her engagement in reflective practice. While engaging in these meaningful experiences Stephanie has gained more than one year of invaluable experience in the field she would like to pursue a career in. 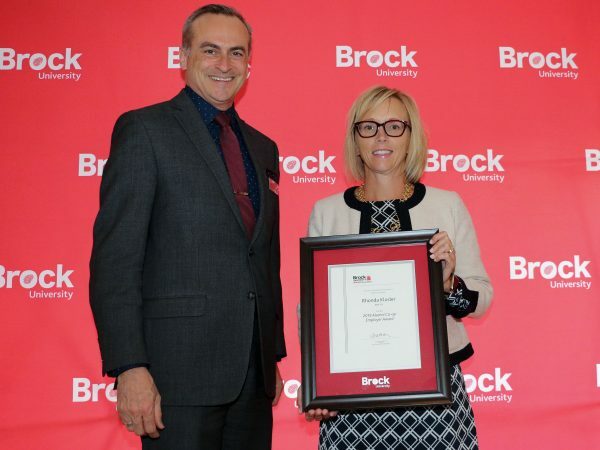 As a graduate of the BSc Mathematics and Statistics (Co-op) program, Rachel had the pleasure of completing four co-op work terms during her time at Brock. Her first co-op was at Meridian Credit Union, during which she developed a passion for data analytics, and enhanced efficiency by automating the audit of business processes. Her next co-op was an 8-month term at RBC, where she built the code to deploy numerous marketing campaigns and developed a new strategy for targeting clients that has since been tested for marketing other RBC products. 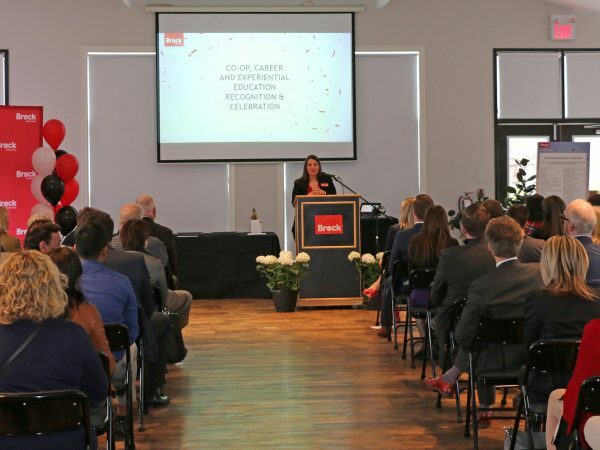 Her last co-op term was at Canadian Tire Financial Services, where she produced analytical tools to help improve Canada’s performance in the Olympics, such as creating a player performance tool for Curling Canada. While working on these meaningful and exciting projects, Rachel gained 16 months of invaluable experience in the field she would like to pursue a career in. 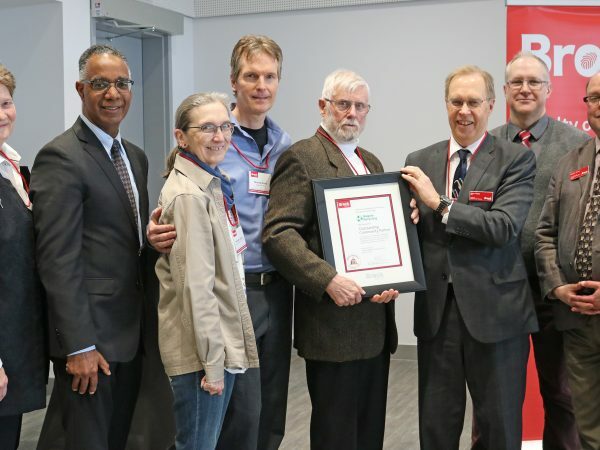 Specific areas Josiah has put considerable effort into during his time at Brock University are in academics, extra-curriculars, co-op terms, and community involvement. Academically, he has excelled as an Honour Roll student during each year of his degree and is currently part of the Golden Key Honour Society. He has also been incredibly successful across various student club executive positions and business case competitions. Much of these successes were a result of the co-op program. During his three successful co-op terms, he gained incredible experience, been offered extensions in all three positions, received incredibly positive performance reviews, and made substantial organizational contributions both at BlackBerry and the Bank of Development Canada. He has also been active in his community serving as a Board Member at a local youth center (Convos), running various fundraising campaigns for charitable organizations, and doing consulting work with small businesses across the Niagara region. During his tenure at FedEx as an Associate Sales Operations and Solutions Analyst, Pradeep climbed the career success ladder – starting as an Analyst to currently being in the role of Project Manager. In this one-year co-op, he was successful in generating more than $20-million in revenue for FedEx and gaining the approval and recognition from the customers and as well as the leadership team at FedEx. This co-op opportunity has helped Pradeep to develop a vision for his life and career. Charmaine Bamford – Manager, Sales Solutions & Operations, FedEx Express Canada Ltd.